More than a century after its creation, the General Bathymetric Chart of the Oceans (GEBCO) remains a unique project at the heart of the drive to map the world’s seafloor from the coast to the deepest trench. As an independent, non-profit project under the joint auspices of the International Hydrographic Organization (IHO) and the Intergovernmental Oceanographic Commission (IOC) of UNESCO, GEBCO is well placed to act as a central repository and forum for global ocean mapping-related information, products and expertise, led by GEBCO Guiding Committee. Backed by the wealth of information being garnered through today’s advanced surveying, mapping and interpretative techniques, GEBCO’s principal aim now is to provide the most authoritative and comprehensive publicly-available bathymetry of the world’s oceans yet available. It is a vital task. Huge parts of the oceans, especially those far removed from coastal and national areas, are still inadequately mapped. Environments such as those beneath the polar ice sheets and ice-covered oceans are as unfamiliar to us even today as the deep ocean was for GEBCO’s founders over 110 years ago. To add momentum to the process, GEBCO is bringing together experts from the academic and commercial worlds for the Forum for Future Ocean Floor Mapping. The aim of this event, to be held in Monaco from 15 to 17 June 2016, is to provide a ten-year vision for the organisation. The venue in Monte Carlo reflects the long-standing relationship between the Principality and GEBCO. The organisation has its origins in a meeting chaired by Prince Albert I of Monaco in Wiesbaden, Germany in 1903, where a commission appointed by the International Geographic Congress was established to oversee the publication of la Carte générale bathymétrique des oceans. That rapidly prepared chart was published in Paris in 1905 and then superseded by an improved version that emerged between 1912 and 1931, which included tints for ocean and land to better show terrestrial relief, as well as a revised nomenclature. While the second edition was being compiled, rapid growth in data available due to the increased use of sonic and ultrasonic technology meant a new approach was required. Following the death of Prince Albert in 1922, his small scientific team, which had largely been responsible for the chart, was disbanded. The newly created International Hydrographic Bureau (IHB), founded by a number of important maritime states, was invited to take over the project. Prince Albert had played a central role in the IHB’s creation and provided it with a headquarters on the seafront in Monaco, where it remains today, as the secretariat of the IHO. The impact of World War II and other international disputes slowed down progress in updating the chart to the extent that by the early 1970s only a limited number of sheets for further editions had been published. However, following recommendations by the Scientific Committee on Oceanic Research (SCOR), the project was given a new lease of life. Expertise from the wider scientific community was brought in to modernise GEBCO and better meet the needs of users. The IOC was invited to co-sponsor a fifth edition with support from the Canadian government. The GEBCO Guiding Committee was established to be in a position to offer marine geoscientists around the world the possibility of publishing their work in a prestigious, high-quality chart series. World coverage on the original scale of 1:10 million was completed and published by 1982, followed by a small-scale world sheet in 1984. The fifth edition of the GEBCO chart series proved highly successful, attracting considerable support for the GEBCO’s work. In 1994, the GEBCO Digital Atlas (GDA) on CD-ROM was published. It represented the first seamless, high-quality, digital bathymetric contour chart of the world’s oceans. A second release was published in 1997. GDA’s Centenary Edition was published in 2003, 100 years after Prince Albert initiated GEBCO. One arc minute grid of bathymetry contained in GDA, which was based on manually drawn contour lines of the fifth edition of the GEBCO chart series, has been frozen since then. A new 30 arc second gridded bathymetry was published in 2008, which uses satellite altimeter data for guidance in interpolating data sparse areas. It was last updated in 2014 and is available on GEBCO’s website. Now GDA contains a global set of digital bathymetric contours and coastlines, the latest GEBCO 30 arc-second grid, GEBCO One Minute Grid and the GEBCO gazetteer of geographic names of undersea features. It is accompanied by software for viewing and accessing the datasets. Today, GEBCO relies on voluntary contributions from an enthusiastic international team of geoscientists and hydrographers. GEBCO’s work is directed by its Guiding Committee, which is supported by technical sub-committees and working groups made up of experts in many fields and from organisations across the globe. GEBCO has also leveraged its coordinating role to instigate programmes to encourage more young scientists and hydrographers to become involved in mapping the ocean floor. 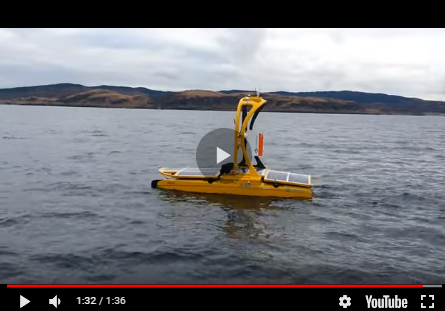 GEBCO has been funded by the Tokyo-based Nippon Foundation to train a new generation of ocean bathymetrists through the Postgraduate Certificate in Ocean Bathymetry (PCOB) at the University of New Hampshire (UNH) in the US. When the Forum for Future Ocean Floor Mapping opens in June, the next phase in GEBCO’s story will be launched, as delegates help map out the GEBCO’s path for the next decade. Leading figures from GEBCO and senior executives of major ocean-related exploration, international regulatory, industry and academic organisations will give their views on the critical ocean issues and how mapping coordination can be improved to solve them. Experts will discuss emerging technologies for collecting and analysing ocean depth data, as well as how best to coordinate efforts to achieve the broadest possible global bathymetric coverage. GEBCO will continue to link individuals and organisations worldwide and enhance existing global networks, driving ocean mapping and a deeper understanding of the current and ancient processes shaping the ocean floor.